George served 14 years at S.C.H.D. 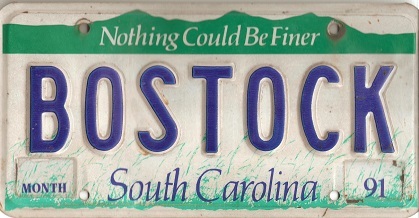 in Columbia for National Business Systems. He served aboard the USS Piedmont, and the USS St. Paul. George was a generous man. 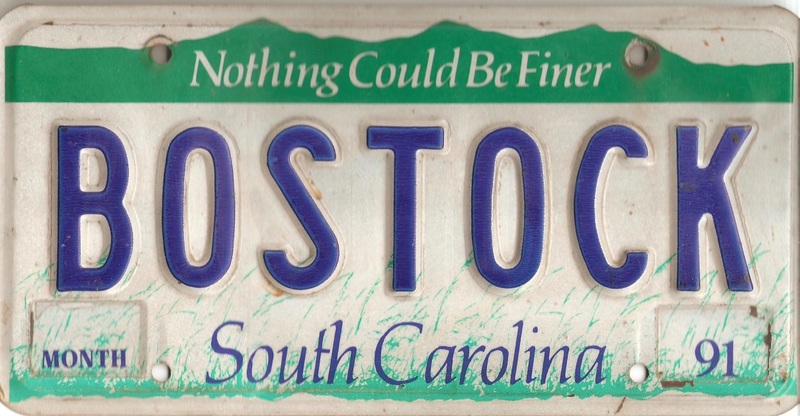 Knowing I would enjoy a unique Bostock souvenir, and right out of the blue, he mailed me (from South Carolina) his specially made up car registration plate. Thank-you George, it stays on my desk at work. I shall look after it.